When Malcolm Owen joined his mates of the disbanding pub rock gang Hit & Run in 1977 to form The Ruts, their obvious sound outfit was nasty, pub rock-ish punk. But the current Jamaican sound called reggae was also buried deep in the group's DNA. It was soon to fully unfold when UK reggae band Misty In Roots discovered the angry talent of The Ruts and encouraged them to produce their first single on their own label People Unite. In a Rut sold an astonishing 20,000 copies. It was followed by a John Peel Session and a deal with Virgin Records that left the band in debt for ages. But it also led to a seminal album,The Crack, and a bunch of classic singles such as "Staring at the Rudeboys," "Jah War," and the much-covered "Babylon's Burning" that the remaining members of the band just re-recorded with the fittingly casted Henry Rollins on vocals. This heavy rock anthem with embedded rasta philosophy mirrors the Bad Brains' efforts to merge the energies of reggae and rock, meanwhile in DC. But in 1980 The Ruts themselves were forced to turn DC when Owen died of a heroin overdose -- DC in this case standing for "Da Capo," a restart. Sadly enough, this second phase of the band keeps being underrated by rock history. However, for those who know, an album called Rhythm Collision Vol. 1 became a major object of worship. This dub set was cut in 1982 in the brand new Ariwa studio, set up and run by Neal Fraser, better known as the Mad Professor. On this day in '82, reggae and punk rock, with a little help from funk, came together in a ying and yang harmony rarely ever heard. The basic mood is melancholic tranquility, a floating dubspace without too many crazy but still highly effective effects. If dub can be described as the art of impression by subtraction, this classic example gave an idea of where dub as a recording technique could potentially go -- and where it subsequently went. Despite its nearly obscure status, the album has not done too badly over the years -- it stayed underground but there it became massively viral, selling 100,000 copies of its various incarnations on the band's own label Bohemian, punky reggae U.S. imprint ROIR, Danceteria, and -- in the CD age -- Echo Beach. The second generation went to work, when Zion Train first re-versioned "Babylon's Burning" and finally the whole set, which was also released on Echo Beach. So in its third incarnation: deconstructed, reconstructed, tuned, pimped and dubbed out by today's disciples of bass. Even though the postmodern world offers zillions of ways to recontextualize archive material, they all left the sacred tracks relatively intact, ignoring the easy way out. After 31 years, Ruts DC are still very much alive and kicking, just like the major rocksteady and reggae riddims they organically developed with a lot of great artists and friends, such as: Tenor Fly, Molara, Segs, Aynzli Jones & Rob Love, Smokes, and Seamus Beaghen. Recorded at Ariwa Studios, London by Mad Professor. Mixed by Prince Fatty at Prince Fatty Studio. 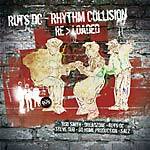 The story of the UK's The Ruts (and the follow-up band Ruts DC) and the legendary dub set Rhythm Collision Vol. 1, is a story that brings together musical opposition and resistance. Here it is now recast in a series of modern remixes by RSD aka Rob Smith, Salz, Steve Dub, Dreadzone, Go Home Production, Boz Boorer, and Ruts DC themselves. British youth of the '80s, and most notably young men of the working class, had an ongoing relationship with Jamaican music and its exports of Caribbean music, such as calypso, mento, ska, and later rocksteady, reggae and dub. 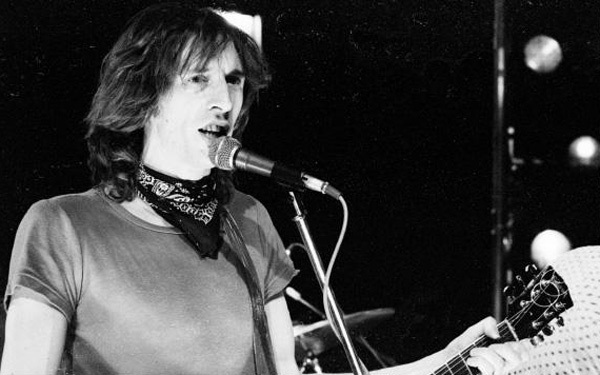 Racial tensions of the time in addition to Britain's own dissatisfaction with their leadership helped fueled the "Rock Against Racism" movement, and key members of this movement were Malcolm Owen and his band The Ruts. When Owen joined his mates of the disbanding pub rock gang Hit & Run in 1977 to form The Ruts, their obvious sound outfit was nasty, pub rock-ish punk. But the current Jamaican sound called reggae was also buried deep in the group's DNA. They produced their first single on their own label People Unite, and In A Rut sold an astonishing 20,000 copies. It was followed by a John Peel Session and a deal with Virgin Records that left the band in debt for ages. But it also lead to a seminal album,The Crack (1979), and a bunch of classic singles such as "Staring At The Rudeboys," "Jah War," and the much-covered "Babylon's Burning." In 1980, The Ruts themselves were forced to turn DC when Owen died of a heroin overdose -- DC in this case standing for "Da Capo," a restart. Sadly enough, this second phase of the band keeps being underrated by rock history. However, for those who know, an album called Rhythm Collision Vol. 1 became a major object of worship. This dub set was cut in 1982 in the brand new Ariwa studio, set up and run by a certain Neal Fraser, better known as the Mad Professor. This album's fusion of reggae and punk rock, with a little help of funk, came together in a ying & yang harmony rarely heard before. This selection shows that even over 25 years after its creation, the Ruts DC heritage is still very much alive and kicking, just like the major rocksteady and reggae riddims that kept being used and reused for decades.